Preheat oven to 350°F. Line 12 cupcake wells with 12 muffin cups. Beat butter, sugar and coconut together until creamy. Beat in eggs, one at a time. Sift in flour and baking powder and fold into mixture along with the coconut and grated lime peel then milk. Evenly divide batter into cupcake wells and bake for 15-17 minutes. Let stand in pan for 5 minutes then move cupcakes to a wire rack to cool completely. Beat together cream cheese, icing sugar and lime juice until creamy. 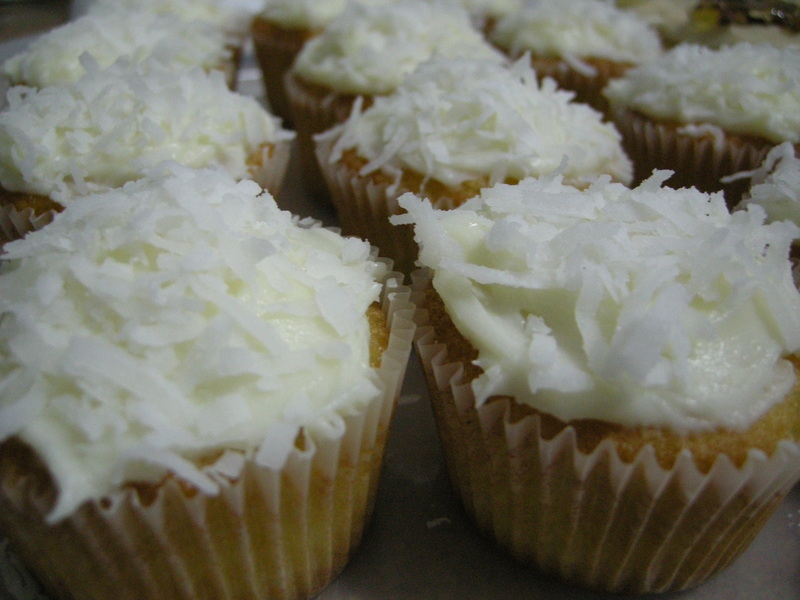 Swirl the frosting onto the cupcakes and sprinkle with the sweetened flaked coconut at will. check out my recipe for Baked Apple Chips, I’m sure you’ll love it!